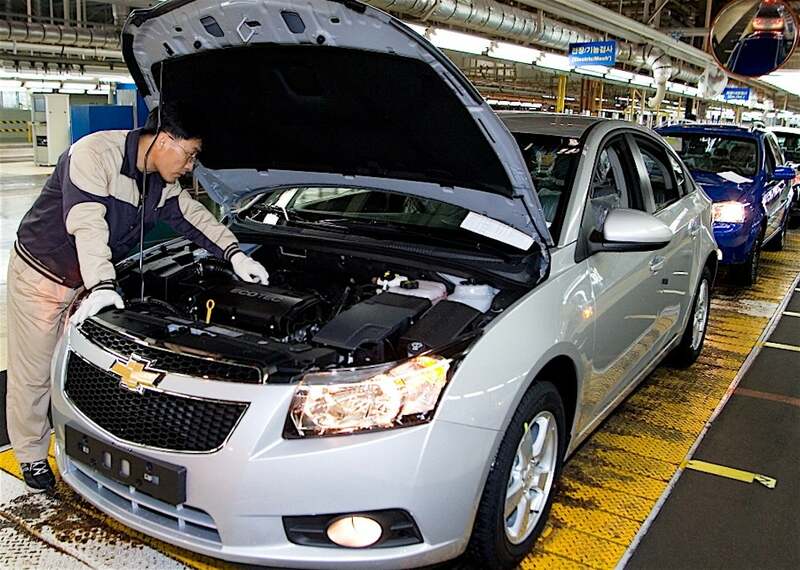 “We aim to close this deal as soon as possible to ensure that there will be ongoing economic activity,” GM Korea said in a statement. So does this mean it’s going to build Teslas? No. Myongshin, which also supplies Hyundai, and the consortium is in negotiations to build a different company’s vehicle, according to Reuters. GM has struggled in South Korea and in other parts of Asia and has been looking to make cuts there. It closed the Gunsan plant last May, cutting thousands of workers in the process. The new ownership means the creation of 900 jobs there and an additional 2,000 at suppliers, the government noted. South Korea is an appealing place to manufacture vehicles, especially EVs, as the country enjoys a free trade partnership with the U.S. and Europe. It also has a robust number of EV suppliers, which could make the conversion of the plant to EVs simpler and quicker. Producing the 150,000 vehicles seems ambitious, but until it’s determined what vehicle the company is building, it’s difficult to speculate on the veracity of such a claim. This entry was posted on Friday, March 29th, 2019 at and is filed under Asia Pacific, Automakers, Automobiles, Business, EVs, Electrified Vehicles, Europe, GM, Markets, NAFTA, Technology, Tesla, U.S./North America. You can follow any responses to this entry through the RSS 2.0 feed. Both comments and pings are currently closed.